Having now played with all 4 of the core units in the Wood Elf book I feel that I can speak about them tactics wise while knowing what I am talking about. In the new book the core section got a few slight tweaks with many of the units still filling their old roles, Glade Guard still shot things, Dryads are still our best source of chaff, and Enteral Guard are still the best CC infantry unit we can bring to bear, only the Glade Riders were really impacted by the changes. The trusty Glade Guard are still trusty and worth consideration. Really all they gained was access to the new arrows (and lost the S4 at short range bow and the no penalties for moving and shooting). Aside from that they are still the same old 12 point squishy elves we all know and love. The unit that got the best deal in the new book they now come with stubborn built in at LD 9 (LD 10 if you pay 15 points for the banner of discipline, which you will). While they lost their 5+ armour save they do now have Light armour (and shields for one point a pop). On the offensive side they have the ever reliable Asrai Spear, ASF (and initiative 5) and Weapon Skill 5 so not only are the hard to shift they can pump out some damage to boot. They are easily the best unit in core and while I wouldn’t say that every army should have a unit it wouldn’t hurt to consider them while picking core units. Glade Riders got both better and worse in the new book. They dropped a lot of points, gained access to the arrows and ASF but gained Ambush, and its ambush that makes them the worst core choice in the book. Having them randomly show up at a point in the battle may sound good but it isn’t and really they would be far more useful if they started the game deployed as per normal. They can still be useful but don’t build a battle plan around relying on them to do anything because you can’t count in the, top show up when you need them to. 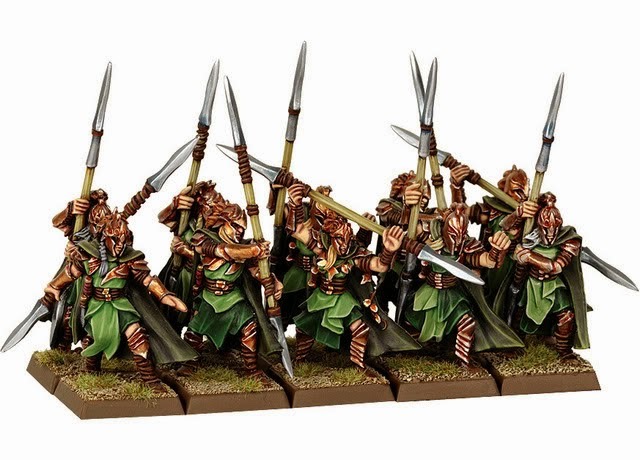 The core section of the Wood Elf army got a pretty good deal with only the Glade Riders losing out the most (and even then all it takes is a small update to the ambush rule in 9th to fix that problem). 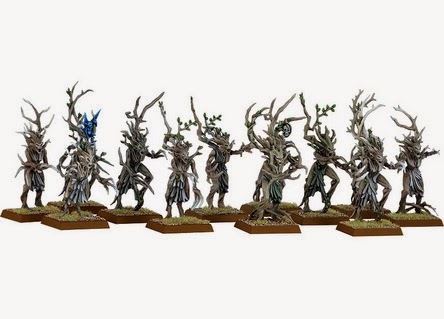 Dryads are now clearly the chaff unit with Glade Guard being the shooting unit of choice (in core at least) and the Eternal Guard being the CC unit of choice. At the end of the day it won’t be that hard to fill out your core but you probably well wan to only fill that 25% requirement and then spend the rest of your armies points elsewhere. Until next time. 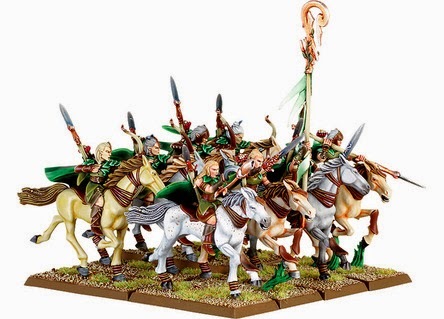 I agree with what you have said about the Glade riders and ambush, in the last eight games my unit of them only showed up to four of them, you could argue that i should take more then 1 unit in a game, but i think that one unit works best at times. i like ambush, but in armies that move forward to engage. there is nothing better than attacking a gun line with Orcs when your victims are looking over their shoulders at Snagla's spider riders.